Hello! You may call me Cocoa! I speak Japanese. I like to draw Pokemon! 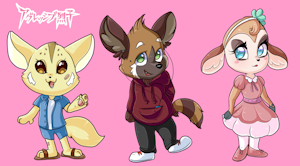 I am on FurAffinity, and on Deviantart, I enjoy to share my work with you!